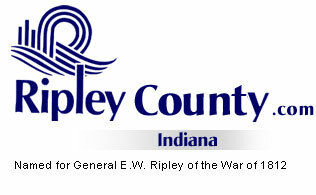 The Ripley County Council met on Tuesday, April 18th , 2006 at the Ripley County Annex in Versailles, Indiana. Donald Dunbar, Council President called the meeting to order promptly at 7:00PM with the pledge of allegiance to the flag. Council Members Don Dunbar, David Simon, Edward Armbrecht, William Dramann, Dephane Smith were present for the meeting. Ben Peetz and Mark Busching were not in attendance. Neil Comer, Attorney was unable to attend this council meeting. No Appropriations for this meeting. Edward Armbrecht, Council Member presented a transfer to the council transferring $20,000 from Fund #293-49000-000-293 Riverboat Gaming Equipment to Fund # 293-44210-000-293 Riverboat Gaming Computer Hardware. Armbrecht advised the council members present that at this point in the county financial situation he felt that too much money has been spent on the new chairs for the commissioners’ room. Armbrecht advised that the county office holders are trying to save money and that budgets were cut by 5%, no raises were given for 2006 unless mandated by the state. Armbrecht recommended that this money be transferred from the Riverboat Equipment fund to the Riverboat Computer Hardware and if any money is needed from this fund they would need to come in front of the council for a transfer back to the equipment fund. Council Member Smith felt that if they could do this to the commissioners’ budget then they could do this to any other budget in the county and she felt that they were raiding their budgets. Commissioner Reiners advised the council members that the chairs were purchased due to two people who had fallen out of the present chairs. Reiners advised that it is the duty of the commissioners to replace anything that is faulty. Council Member Armbrecht made a motion to transfer $20,000 from the Riverboat Gaming Equipment to Riverboat Gaming Computer Hardware. Motion died for a lack of second. Council Member Smith made a motion to return the 5% distribution from the Ripley County Endowment Fund/Ripley County Community Foundation Inc. to the county endowment fund seconded by Council Member Armbrecht. Motion approved by those present. Commissioner Folz presented concerns on purchasing of defibrillators for the county at a cost of $1,200 each. Folz advised the council members that they are needed for the courthouse and the fairgrounds. Council Member Armbrecht questioned where the cost would be paid and training for the people who would use them. Sheriff Davison advised the council members that he had training done in house. Armbrecht suggested that the defibrillator be put in the budget for 2007 and other suggestion was to apply for a grant for the defibrillators. $2,800 Ripley County Probation Office/ Juvenile Substance Abuse Ed. Council Member Armbrecht made a motion to approve the LCC grants for 2006 requested subject to advertising the additional appropriation if needed seconded Council Member Smith. Motion approved unanimously. Council President Dunbar advised that the council will meet on Thursday, April 27th, 2006 at 10:00AM at the Annex building with all the office holders, department heads and financial committee to go over the County Financial situation for 2006/2007. Council Member Smith made a motion to adjourn until the next regular meeting on Tuesday, May 16th, 2006 @ 7:00PM seconded by Council Member Simon. Motion approved by those present.